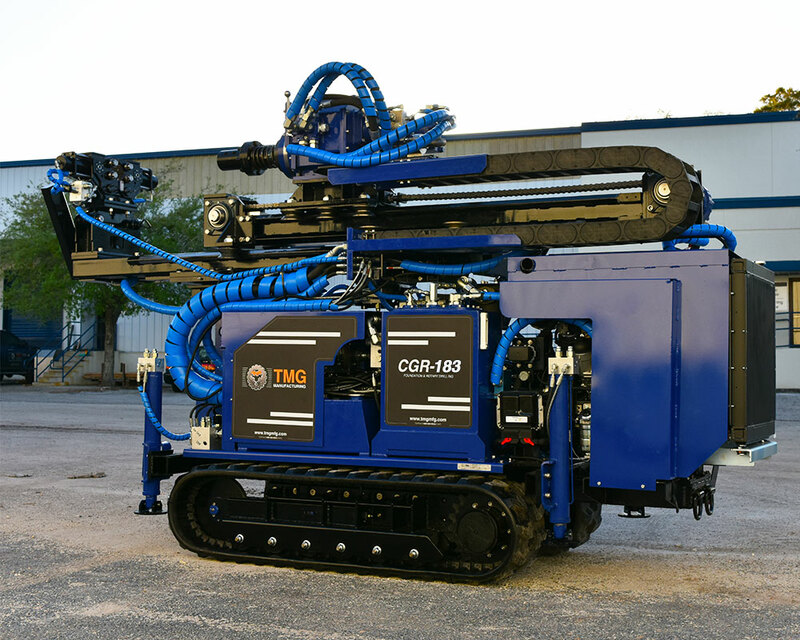 The CGR-174 is a powerful drill rig for compaction grouting and rotary drilling. 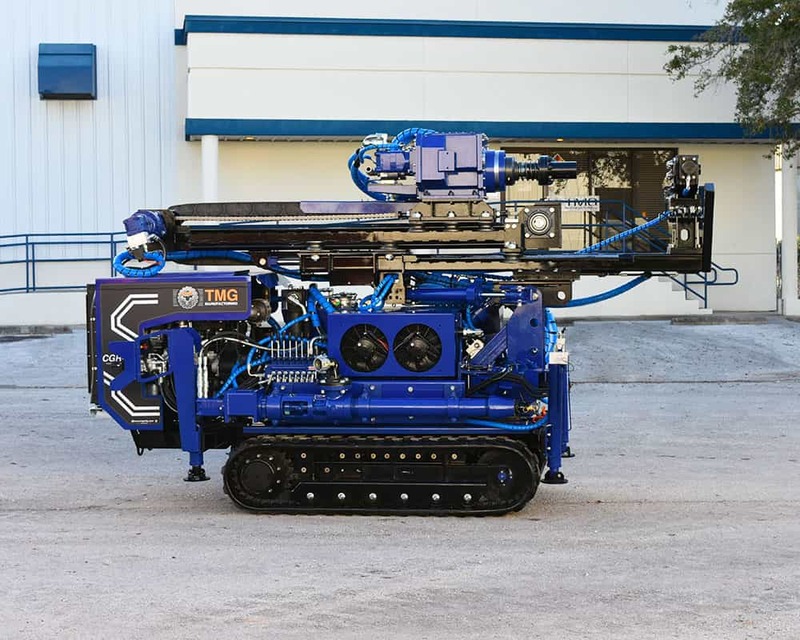 It features a 74hp tier 4 compliant, turbo charged diesel engine and a 60 rpm hydraulic power unit. 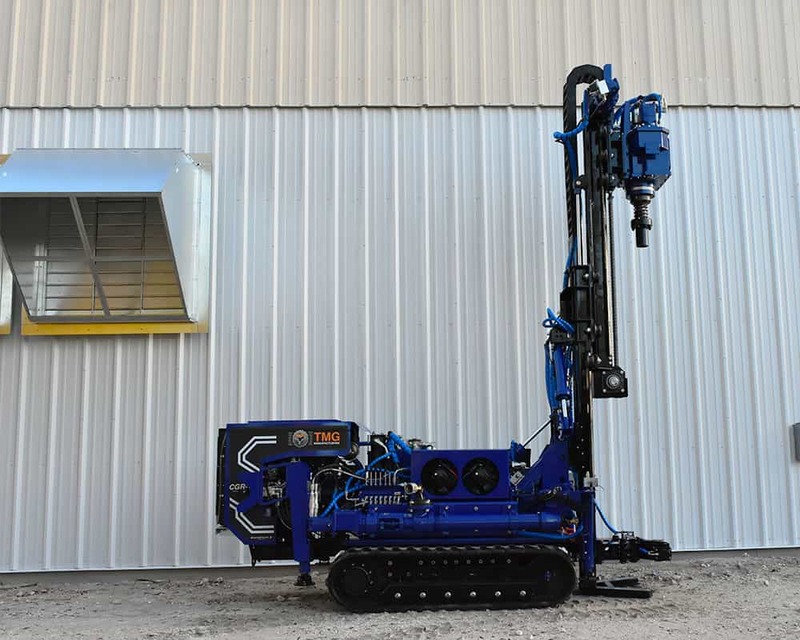 Designed to be extremely mobile for tight spaces, the CGR-174 can drill more than 2,000 feet of micropiles per day. 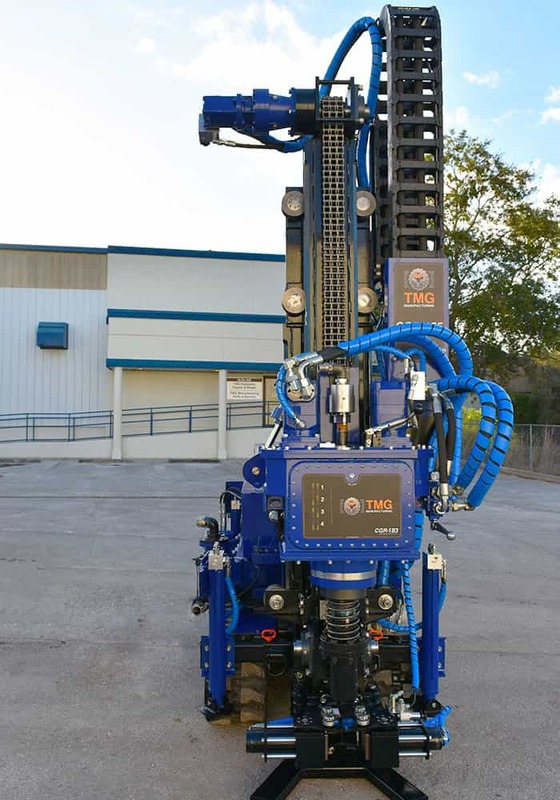 Optional dual collapsible mast allows drilling operations under the lowest eaves and overhead obstacles. 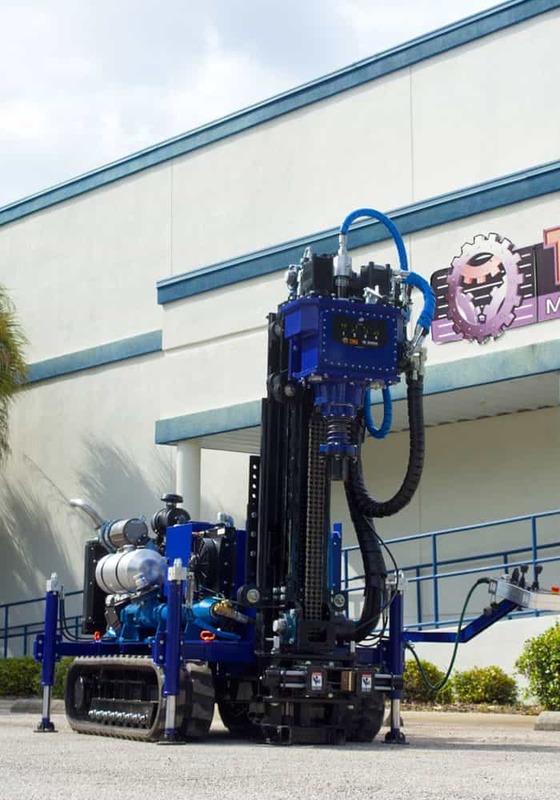 The CGR-174 drill rig, has a compact and incredibly powerful 4-speed gearbox drill head with a built-in wet swivel and chain-driven mast with V-Rollers. 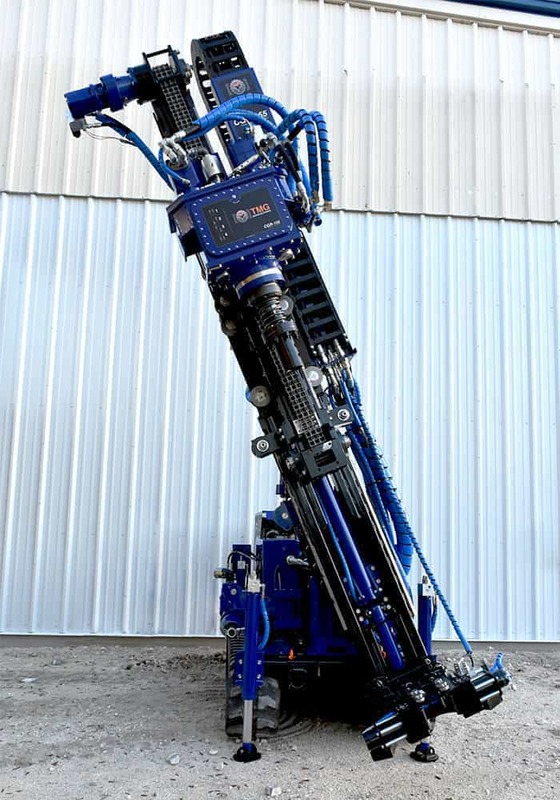 Expandable tracks from 35" to 45"